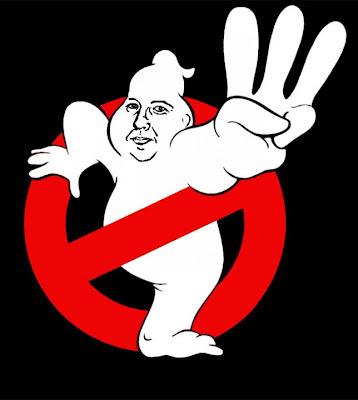 LOL/OMG: Har Mar Superstar in Ghostbusters 3? We can never get enough of Har Mar Superstar. The zany former local is looking to score a role in the upcoming production of Ghostbusters 3 and we think he'd be PERFECT. Well, we pretty much think he'd be perfect for anything, but especially something as cheesy as GB3. A writer who initially suggested the idea has started a Facebook Fan page in hopes of bringing it to the attention of the producers. We totally became a fan! Check out Har Mar's cameo in the Starsky and Hutch movie and tell us he couldn't trap a ghost with those stellar dance moves! Plus, we just REALLY like this Har Mar/Ghost pic. Hilar!